How Far is Madhuban Sai City Row Houses? 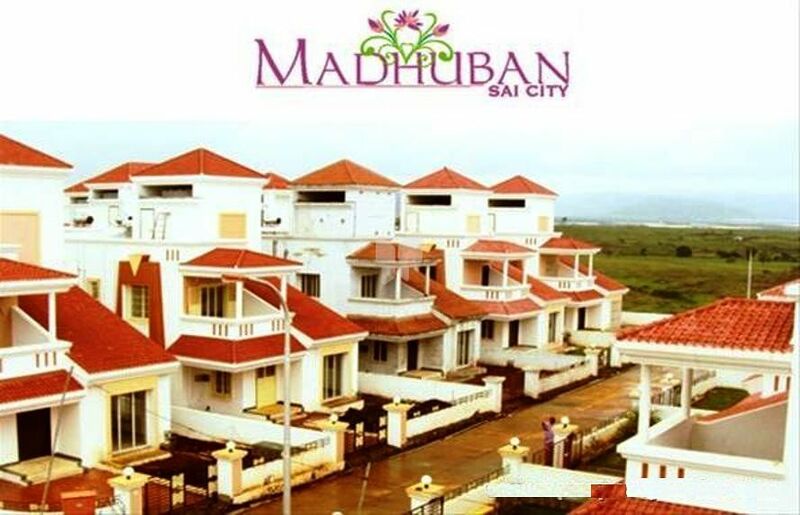 Madhuban Sai City's attraction begins right at the imposing entrance. It is a grand pergola with clean lines and beautiful design.. and it gives you a preview of the magnificence of the City it welcomes you to.Its 38 bungalows and 48 row houses have been designed with an eye to beauty and comfort that come not only from the elegant design of the structures, but from a superb landscaped garden.A Club House with a pool and multiple sport facilities takes care of your leisure time.This thing of beauty offers you the finest in stress-free iving. ..a gift more valuable than anything else. * Earthquake resistant design. RCC frame structure. * External-Internal 6"thick quality walls. Internal 4" thick walls. * Neeru finish Plaster external sand laced plaster. * All doors with wooden frame. * Decorative main door. Other standard make flush doors. * Bath-toilet door in marble-frame with fiber shutters. * Anti skid ceramic tiles for W.C., bathroom and open terrace. * In W.C. 4" height glazed tiles. * Glazed tiles above kitchen platform to window top. * Specious 'L' shape kitchen platform with black granite top & stainless steel sink. * Provision for water purifier. * Concealed Wiring with Modular Switches of Slandered Brand. * Mixer and Grinder etc. * Branded Quality Sanitary Fitting for Bathroom. 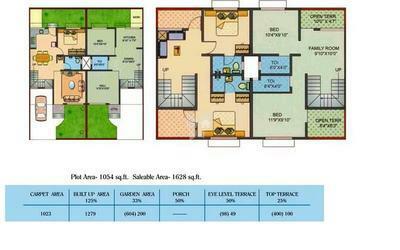 * Provision for Exhaust Fan in the Kitchen and Toilets. * Internal- Luster in Living. * OBD in all Other Room.